The Glenlea Astronomical Observatory (GAO) is located at the Glenlea Research Station, about 20 km South of the University of Manitoba Fort Garry Campus. The five meter dome houses the 40cm Evans’ Telescope. An attached warm control room that has internet access via a microwave link to the university through the Agricultural Research Facility. We also have an observing pad with piers for mounting small telescopes. The Royal Astronomical Society of Canada (RASC) Winnipeg Centre has a dome and a clubhouse located just north of the observing pad. 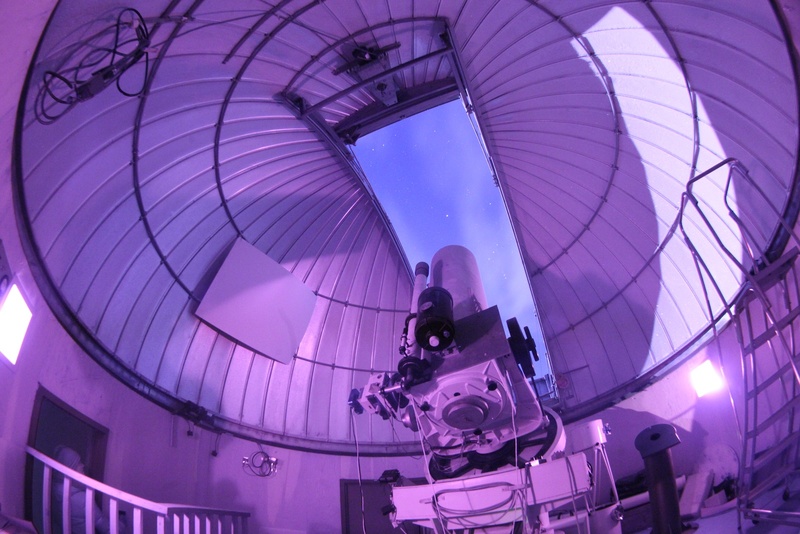 This facility is used primarily for undergraduate teaching including observing sessions for the first year astronomy classes the PHYS 2070 Observational Astronomy Course and upper year projects. A data archive is available.